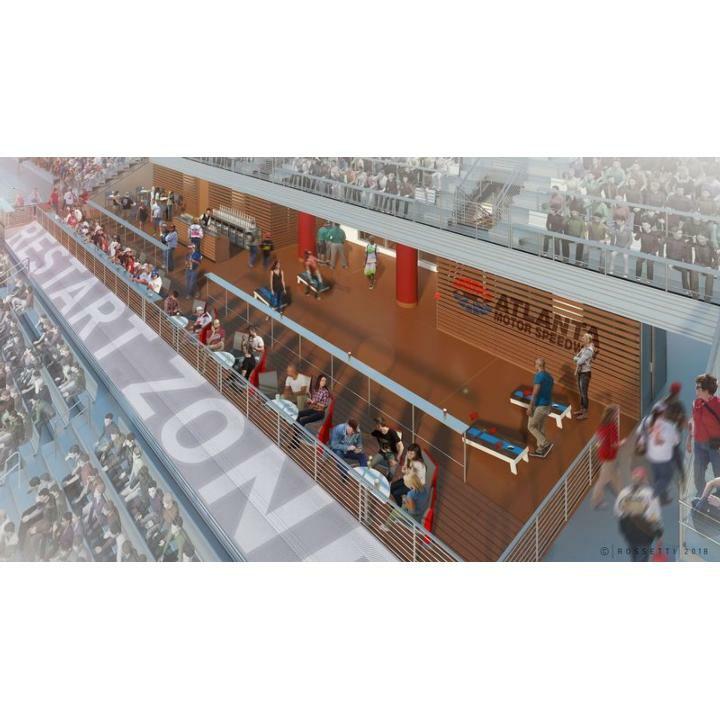 Atlanta-based global payment technology solutions company First Data has partnered with Atlanta Motor Speedway to sponsor both the NASCAR Restart Zone and the recently announced Restart Bar, located 20 rows up from the track surface within the Earnhardt Grandstand. The First Data Restart Zone, the section of race track located just before the start/finish line indicating where the race leader begins to accelerate at the start of a race or when coming out of a caution period, will feature branded grass and wall areas, while the First Data Restart Bar will host hospitality engagements for First Data executives and employees during the Folds of Honor QuikTrip 500 Monster Energy NASCAR Cup Series race on Sunday, Feb. 25. 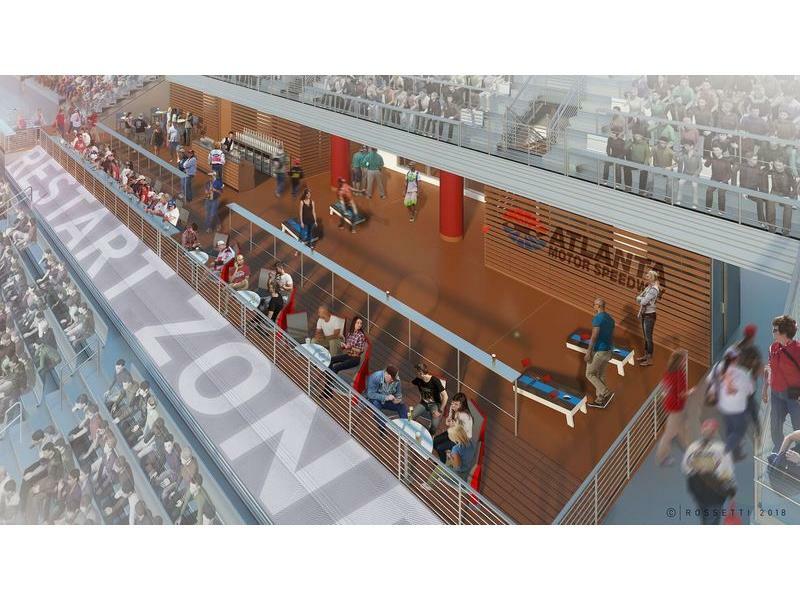 Announced last month, the Restart Bar is an all-new multi-purpose bar and hospitality area within the grandstand seating area that will be utilized for events at the facility throughout the year. Complete with high-end amenities including a full-service bar, high-top tables, front-row seating overlooking the track, space for games and activities and both open-air and indoor quiet areas, the venue provides an enhanced fan experience in a highly social and engaging atmosphere and has the flexibility to accommodate up to 300 guests per event. Founded in 1971, First Data is a global leader in payment technology solutions. The company provides secure and innovative payment technology and services to more than 6 million merchants and thousands of financial institutions around the world, from small businesses to the world's largest corporations.